Shipments moving to, from, and through Alaska connect the state’s businesses and residents to the rest of the world. If more people owned globes than flat maps, Alaska might be an even busier hub for global commerce than it is now. The shortest flight path between the United States and Asia stretches over Alaska, and Asia-bound steamships typically pass near Alaska's Aleutian Islands. Airfreight shipments from Anchorage can reach 90 percent of the industrialized world within 9.5 hours. And Anchorage International Airport has a special exception from U.S. trade laws that allows foreign airlines to transfer cargo between planes on the tarmac. But perhaps because flat maps isolate Alaska way up at the top, many people think of the state as located well outside normal trade routes—so the 49th state retains a lot of untapped potential. 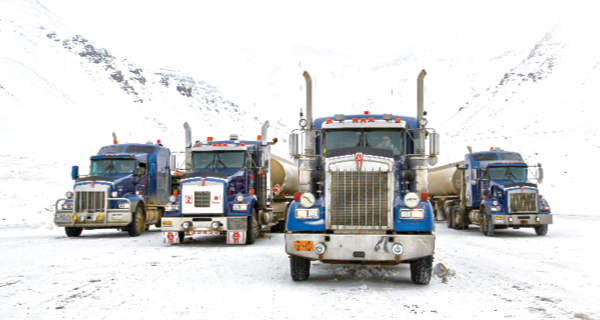 "Alaska is a unique place for logistics," says Dr. Darren Prokop, professor and chair of the Department of Logistics at the University of Alaska-Anchorage. "It's both a frontier and a global crossroads."